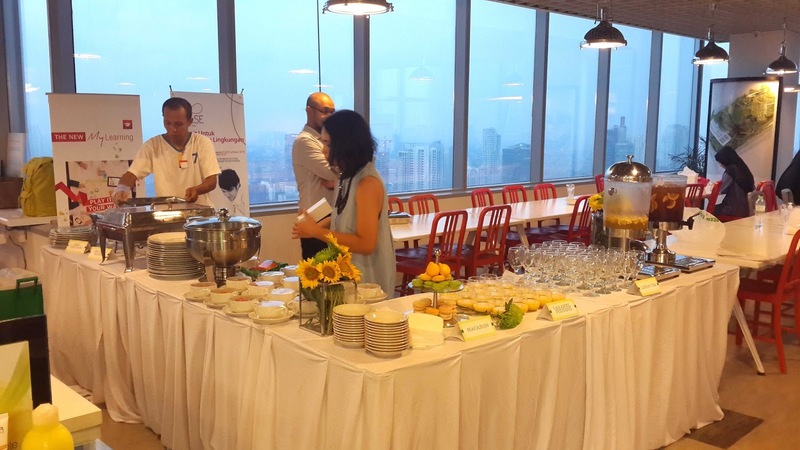 Today I want to share to you one of the new innovation from Garnier Indonesia. You know that cause of Indonesian weather which is tropic, dull and oily skin are the biggest skin problem that usually occur to Indonesian girls. Based on Garnier data, 74% Indonesian woman have problem with dull skin and 44% have oily skin. 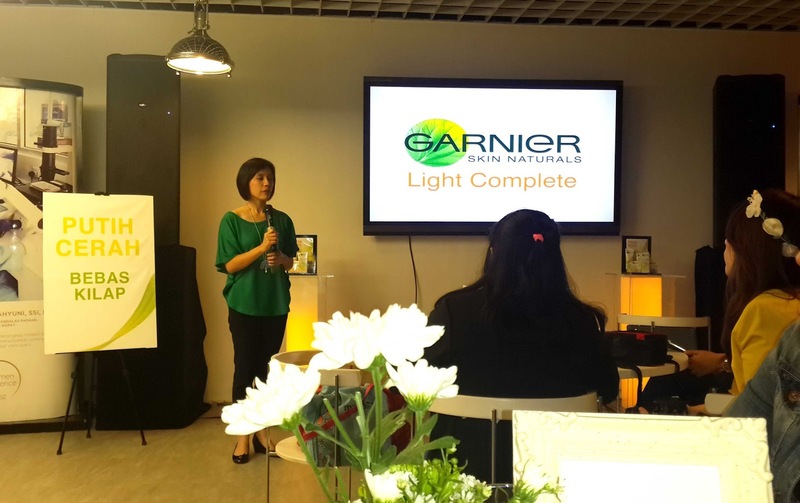 To answer that problem, Garnier try to reformulate their Light Complete series. On last week, they finally lunch this new fomulation of Garnier Light Complete. New Garnier light complete formulate with 50% extra vitamin E which is useful for enlighten your skin and lemon extract for dark spot and keep your skin free from oil. It also complete with UVA and UVB to protect your skin from sunlight. This product claims to enlighten your skin and keep your skin free from oil for up to 8 hours. It's made especially for Indonesian skin type and only lunch at Indonesia. 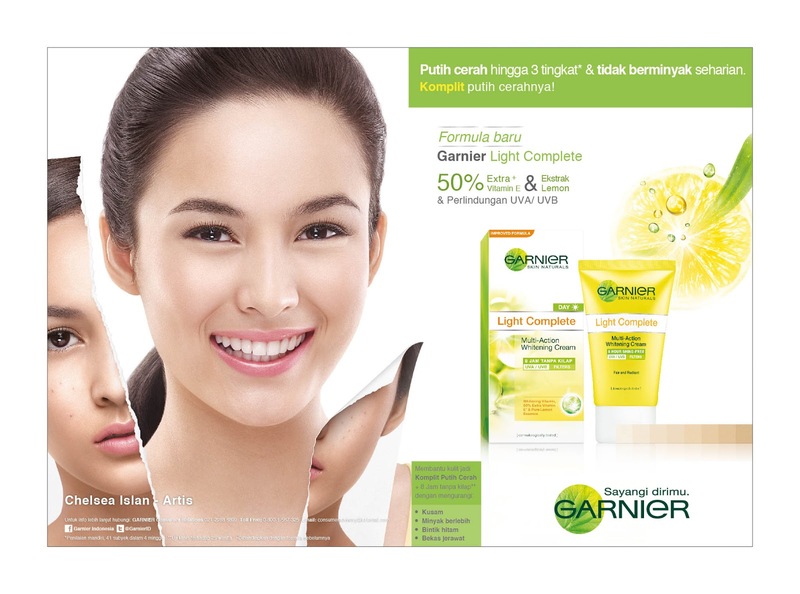 Garnier light complete is recommended for dull and oily skin, dark spot and blemish/acne prone skin. New Garnier Light Complete come in new packaging dominate with Yellow color to represent fresh image of this new skin line. 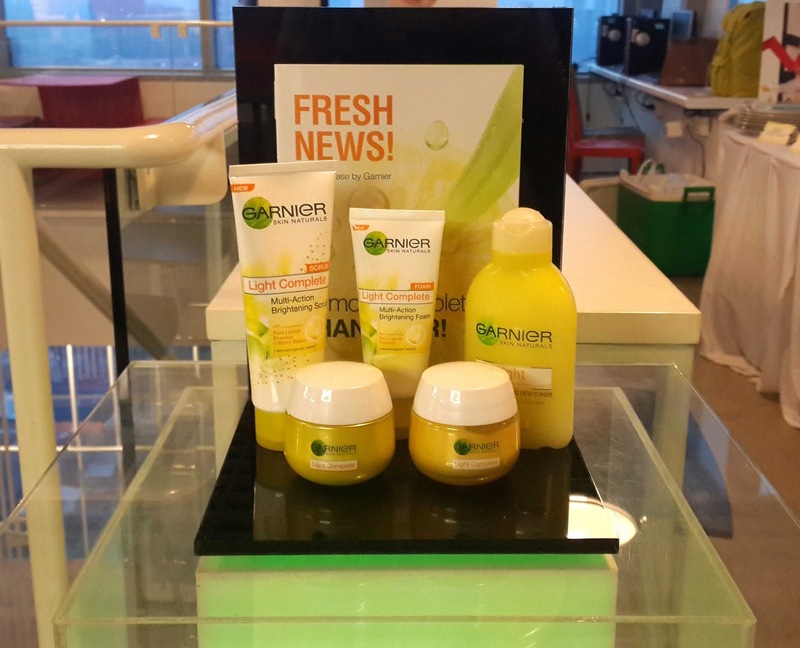 As new brand ambassador, Garneir choose Chelsea Islan to present young and active image for this skin care line. 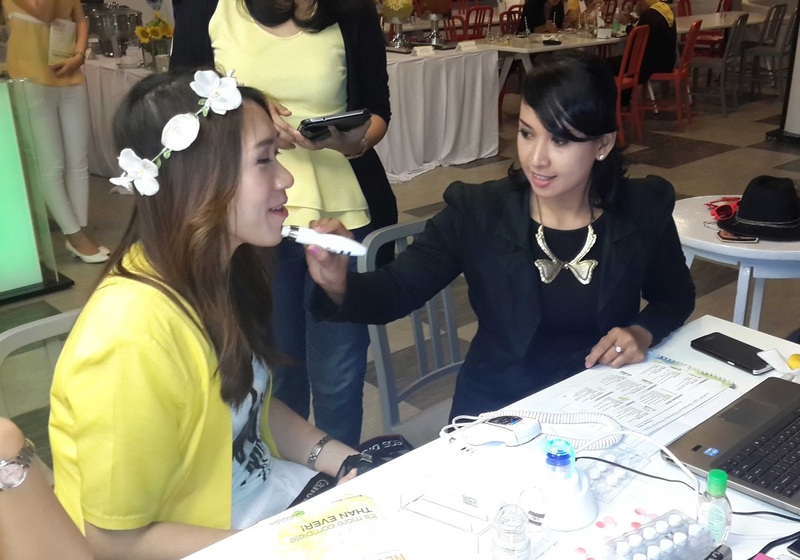 On this event, they are not only explain about the new Garnier light complete but also give us a chance to try the skin analyzer. This fancy machine test our skin and especially test our skin type (dry, oily, or combination) and skin problems (dehydration, sensitive, etc). My result is same with my expectation which is oily skin. Thanks to Garnier... I am excited to trying all of this product. Some of your probobly already know that oily is one of my skin concern. 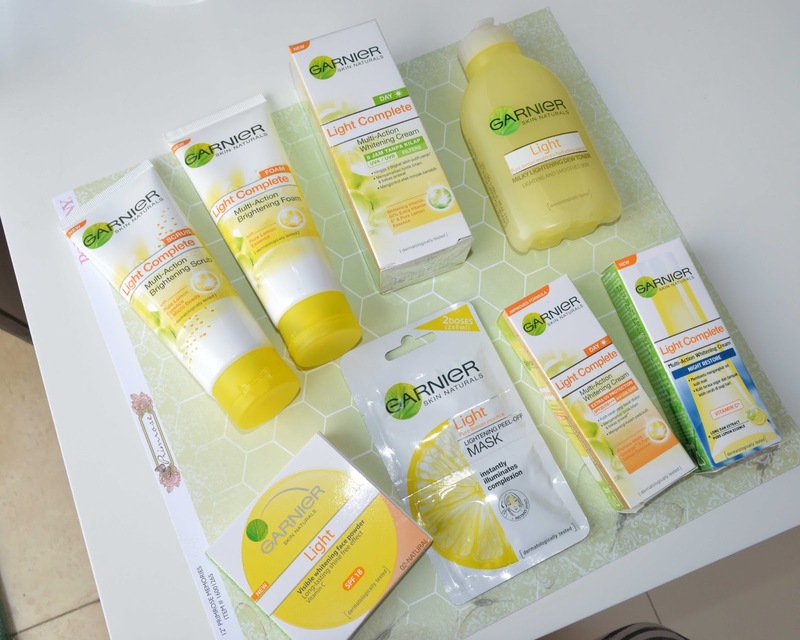 Readers : Have you ever try any product from Garnier Light Complete series? Let me know on comment down bellow what you tried and how is it going for you? 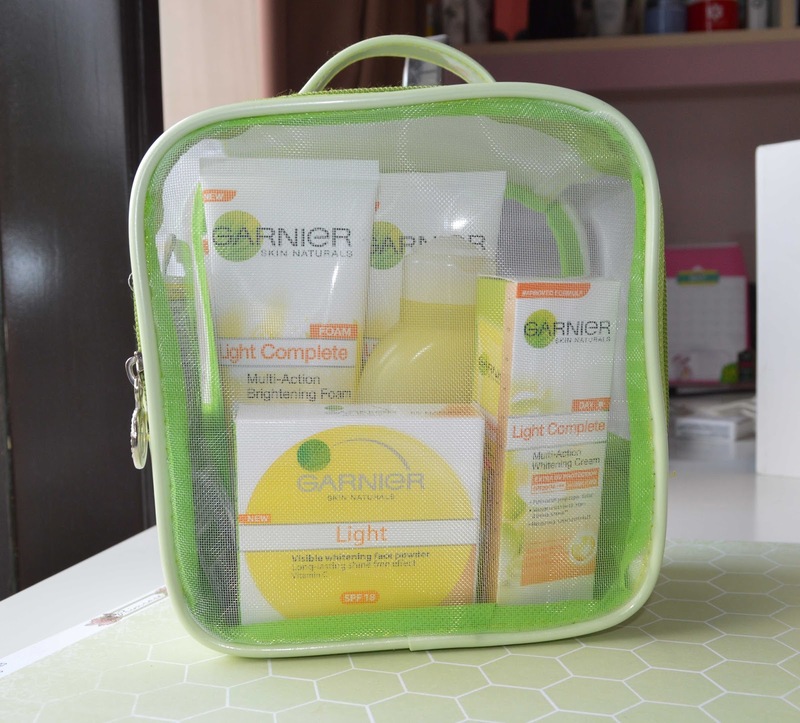 6 komentar on "Enlightening Your Skin Wtih Garnier Light Complete "
I like Garnier too. The event looks fun. The outfit theme is summer... Which product you like? aku uda cobain. Tonernya okay juga kok. Terutama kalau kulit kamu jenis kulit normal ke berminyak.